One great thing about working on one of the mid-to-upper floors of an office high-rise is that you get some exercise every time you choose to use the stairs rather than the elevator. For a person like myself, that happens every time I want to go from one floor to another. I know what you're thinking: Great fitness advice, Ryan - I can similar advice from Good Housekeeping for chrissakes. And you would be right. But when you hear this advice from me, you get it in your web browser! But it's not just that. I don't take the stairs because I'm trying to win over the Weight Watchers crowd or shift my target demo toward old ladies. There is an all-encompassing philosophy here. 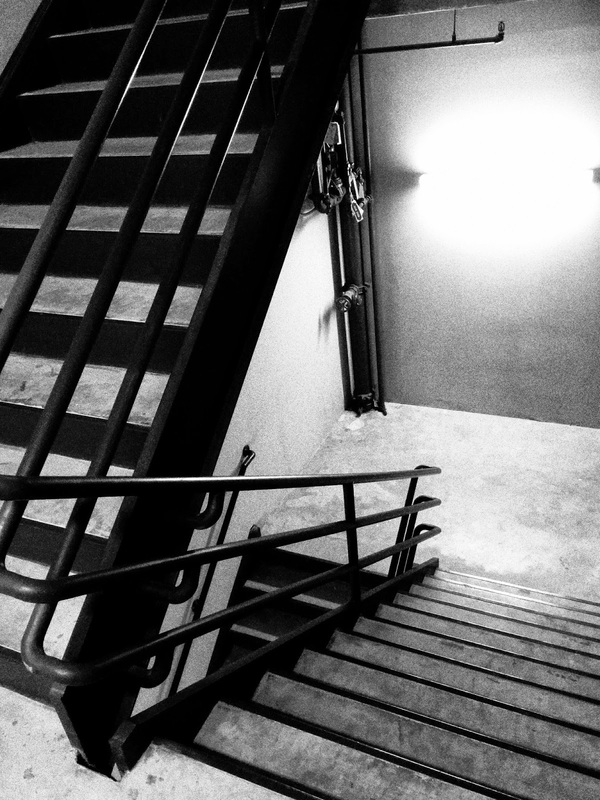 Taking the stairs is about what I call fostering a culture of activity in your life. Don't take the stairs to lose weight; take the stairs "because transportation." You're at point A on Floor X, you want to be at point B on Floor Y (where Y <> X); so you walk. You could object that it takes longer - but it certainly doesn't take more than a couple of minutes longer, unless you are really out of shape (and taking the stairs more frequently will change that in a hurry).